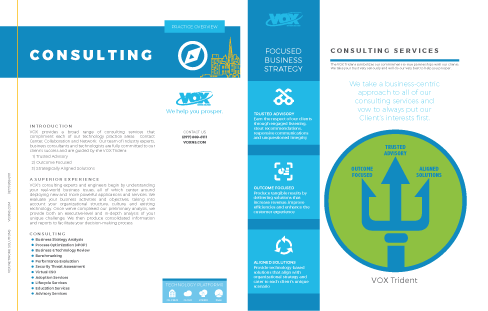 Learn about VOX’s broad range of consulting services to enable our client’s success. VOX provides a broad range of consulting services that compliment each of our technology practice areas: Contact Center, Collaboration and Network. Our team of industry experts, business consultants and technologists are fully committed to our client’s success.